The opening of a Wal-Mart brings a usual crop of concerns. There is opposition from those worried about local retailers unable to compete with its prices and volume, while others denounce it as a corporation that pays its workers paltry wages. As Wal-Mart attempts to expand into a new market this year, it faces similar challenges from businesses and residents there. But this time, the neighborhoods are in Africa. In May, Wal-Mart gained a foothold in Africa, a continent unexplored by the largest retailer in the world. Authorities in South Africa approved Wal-Mart’s plan to purchase a 51% stake in Massmart, a well-established retailer with 315 stores in 13 African countries, but the takeover has spawned a long, protracted process with tribunals, court hearings, and union protests. The Competition Commission of Namibia has appealed its country’s court approval of the deal, while in South Africa the government and union organizations are appealing on concerns that local suppliers will loose business to foreign competitors. A number of rulings are scheduled for October and November. The US$2.4 million (16.5 million ZAR) takeover was agreed upon with a few conditions. For the next two years, there will be no job cuts at Massmart, and local union labor agreements must stay in place for the next three years. There is also a stipulation that any new hires should come from a pool of 503 Massmart workers laid off in the last two years. In addition, the companies will establish a US$14.9 million supplier development fund to help local suppliers compete in the global market. Wal-Mart had started proceedings to acquire a majority stake in Massmart last September but wasn’t able to complete the deal until the end of this past May. The lengthy procedure was prolonged by a six-week delay in the hearings. However, Wal-Mart felt the wait was worth it. South Africa is considered the biggest and most developed market in Africa, accounting for an estimated 20% of African consumer spending, according to Forbes.com. According to Business Monitor International, South Africa’s retail economy will grow by 50% in the next four years. Africa’s potential is finally attracting Western corporations like Wal-Mart. The International Monetary Fund predicted in global five-year GDP growth forecast that seven out of the top 10 countries would be in Africa. Consultants McKinsey & Company estimate there are more middle-class households (incomes with at least US$20,000) in Africa than there are in India. By 2030, Africa’s top 18 cities will have a combined spending power of US$1.3 trillion since 50% of the population will probably live in cities. Also, Africa’s workforce is expanding instead of shrinking as it is in China and India. In turn, with the financial backing of Wal-Mart, Massmart plans to aggressively expand in Africa by opening 150 new stores in more countries, growing their fresh-food business by 50% in the next five years, and establishing a supply-chain network in routes that have inhibited retailing in the past. It is already South Africa’s largest retail wholesaler with 315 stores in 13 African countries. Currently, there are 263 Massmart stores in South Africa, 11 in Botswana, three in Namibia, two in Lesotho and a spattering of single stores in eight other countries, including Uganda and Nigeria. 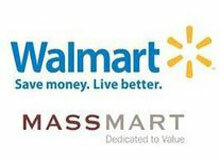 Last year, Massmart made US$7.5 billion in revenue and US$182 million in earnings. The company group includes Game, Dion Wired, Makro, Masscash, Massbuild, and Builder’s Warehouse. It still is dwarfed by its competition though — retailers Pick ‘n Pay, Spar, Shoprite/Checkers and Woolworths collectively hold some 90% of Africa’s retail market share. Jacobs is also concerned about the South African textile industry. “Massmart hadn’t been heavily in the clothing market but this is one of the areas they’re expected to expand into with the merger with Wal-Mart,” he says. “South Africa has already lost a good part of their textile industry to Southeast Asia.” Part of the supplier development fund is supposed to train South African manufacturers in modernization and business practices to help them compete in the global market and potentially become suppliers to Wal-Mart. In another study in the U.S., Jacobs found that a “broad mix of people shop at Wal-Mart but people who make more money spend more money.” In other words, the cost savings of stores like Wal-Mart will more likely benefit middle-class Africans. However, Jacobs concedes that there has not been enough research on what Wal-Mart’s impact is on communities in emerging economies. Van Tonder, though, sees a number of benefits for South Africa’s economy with Wal-Mart’s arrival. The deal will provide the country with an additional inflow of foreign capital, which will assist South Africa’s current deficit, he says. If Wal-Mart can bring a new variety of goods and sell them at lower prices, Van Tonder suggests that consumer price inflation rate should remain at subdued levels, and increase consumer purchasing power. He also notes the deal entails a commitment to make use of small farmers and local manufacturing. “This in itself should add to economic growth and job creation,” he says. Regardless, one of the toughest challenges for Wal-Mart will be getting goods across Africa. Speaking to The Financial Times, Doug McMillon, chief executive of Wal-Mart International, said the company was willing to use more “sweat and muscle” in the logistical network than the modern technology it uses in the U.S. However, if it’s cheaper to import goods rather than use local suppliers in terms of product, labor, and shipping costs, African small businesses may lose out in the merger. For Wal-Mart, the value of international investment is clear. In the first quarter this past year, the retail giant made US$3.4 billion in profit, an increase of 3% from last year during the same period. U.S. same-store sales figures fell 1.1% for the eighth consecutive quarter, due to the recession, less consumer spending and rising crude oil prices. But stores in Mexico, Chile and China have been engines for its growth in the last few quarters, showing a 6.2% sales growth on a constant currency basis in the first quarter this past year. Wal-Mart posted a 12% sales gain in China this past quarter. There are already 338 Wal-Mart–owned retailers in 124 cities with 90,000 employees in China. Annual sales average around US$7 billion, according to The Economist. Wal-Mart has roughly 6% of the market, and announced plans in May to buy a minority stake in Yihaodian, a Chinese web retailer. In 2010, Wal-Mart purchased 360buy, the top online seller in China of consumer electronics. Revenue in Chile also surged 12%. To enter the market, Wal-Mart purchased Chilean retailer D&S in 2009. Wal-Mart’s involvement in D&S actually doubled the exports of its products from Chile. Enrique Ostlae Cambiaso, the CEO of D&S, testified in the South African hearings that exports are expected to double again this year while also lowering costs of goods for local consumers, according to an article in Bloomberg.com.